The Mars Volta is known for progressive rock elements mixed with just about everything you can name. Jazz, math rock, psychedelia, latin and funk all find their way onto their albums and Noctourniquet is no exception. 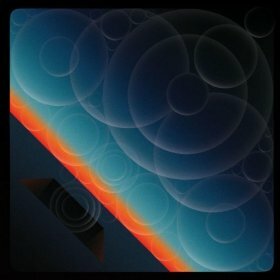 The first album from the band since 2009’s Octahedron, the Mars Volta is back – proudly. “Zed and Two Naughts” is exactly the type of song you’d expect from the band. Dull, high-pitched vocals, twining rhythms and a triply feeling–the song is a stunner. You might not understand the lyrics (“I’m not breathing any better/mallets crack with every grin…Flotsam drop of nectar/Nexus sprouting”), but you’ll be able to appreciate their beauty. “Imago” is another strong track on the album, slowing things down like one of their first tracks, “Televators,” off of Deloused in the Comatorium. A simple cymbal and a few sound effects is all the track needs to shine. “Dyslexicon” is perhaps the most cacophonous, artificial track on the album. So many sound effects, so little time. But much like everything else that the band has put together, it somehow works in the end. If you’re looking for an album that will truly make you think and listen, stop right now and be sure to pick up Noctourniquet!